Attacks launched against WordPress websites continue to increase with recent the announcement of multiple plugin and theme vulnerabilities. These malicious hackers vary from the idiotic to the well, frankly, evil. 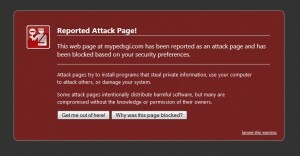 If they can gain access to your website they may, no WILL, wreak havoc. Google will put up a Malicious Site Warning and you are done until you can get cleaned up and the site reviewed and cleared. 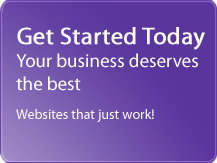 # 1 – Upgrade your WordPress version, your plug-ins and any WP themes to the newest versions available. # 2 – Update your main admin login from the generic “admin” to something else, AND change your passwords to something much more complex and therefore more secure. Use upper & lower case letters, AND numbers, AND symbols. I know this is a pain but seriously, you have no idea of the pain involved in the alternative! # 3 – Login to your hosting control panel regularly and take backups that you can download off-site so you will always have something to go back to if the worst happens. If you don’t feel comfortable upgrading WordPress and the plugins on your own, we’re happy to do this for you. We offer monthly WordPress Maintenance Options to take this task off your To Do list, period. Our monthly plans cover all basic updates, security, and monitoring, and can also include content updates to keep your website fresh and on the search engine radars. Get started today!